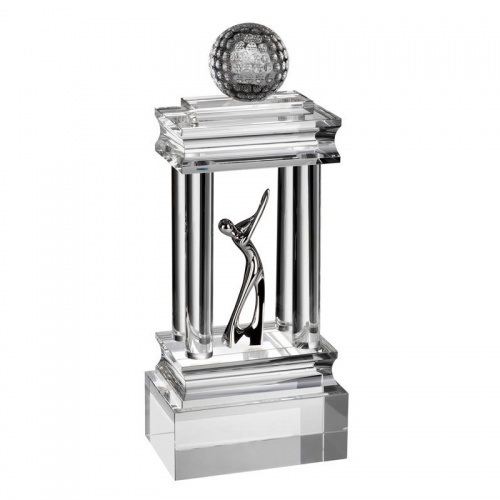 A magnificent crystal golf trophy suitable for prestige golf tournament awards. 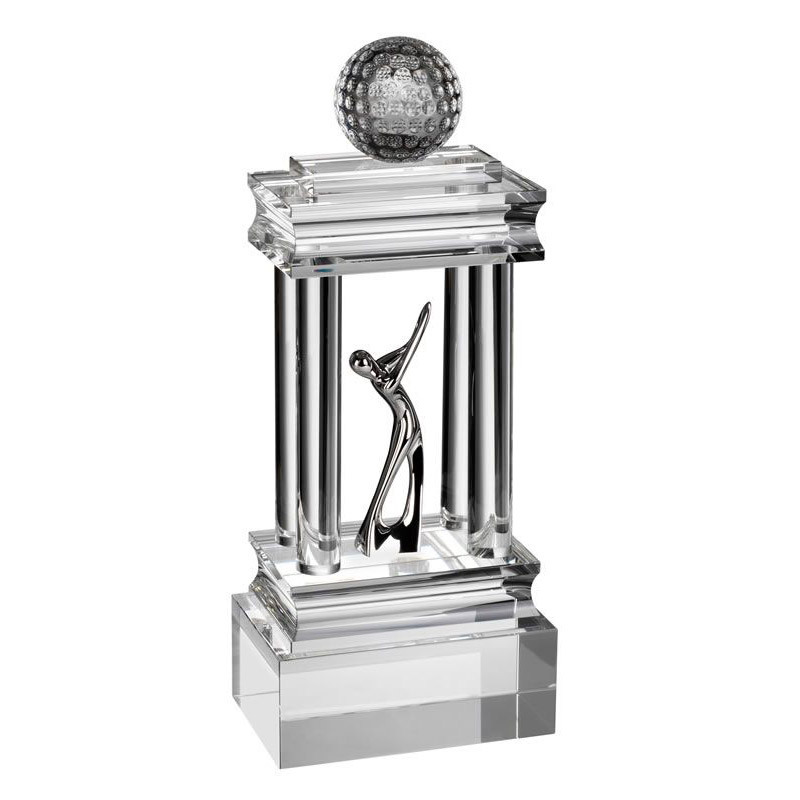 Finely crafted in clear crystal, this 13.25in tall trophy includes an optical crystal golf ball and a silver finish metal golfer figure set within four glass columns. This heavyweight award sits on a sold crystal base that offers a large area for engraving. 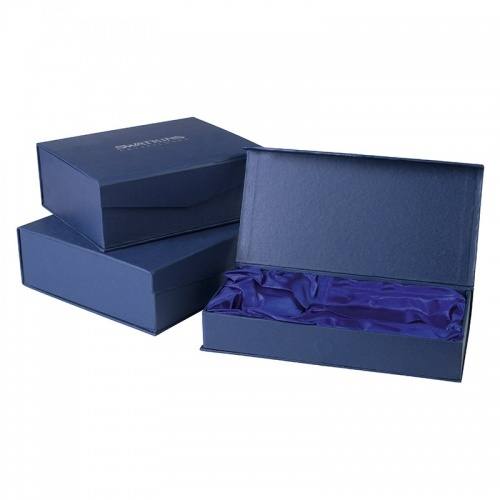 These colossal crystal awards are supplied in an attractive foam-lined presentation box.